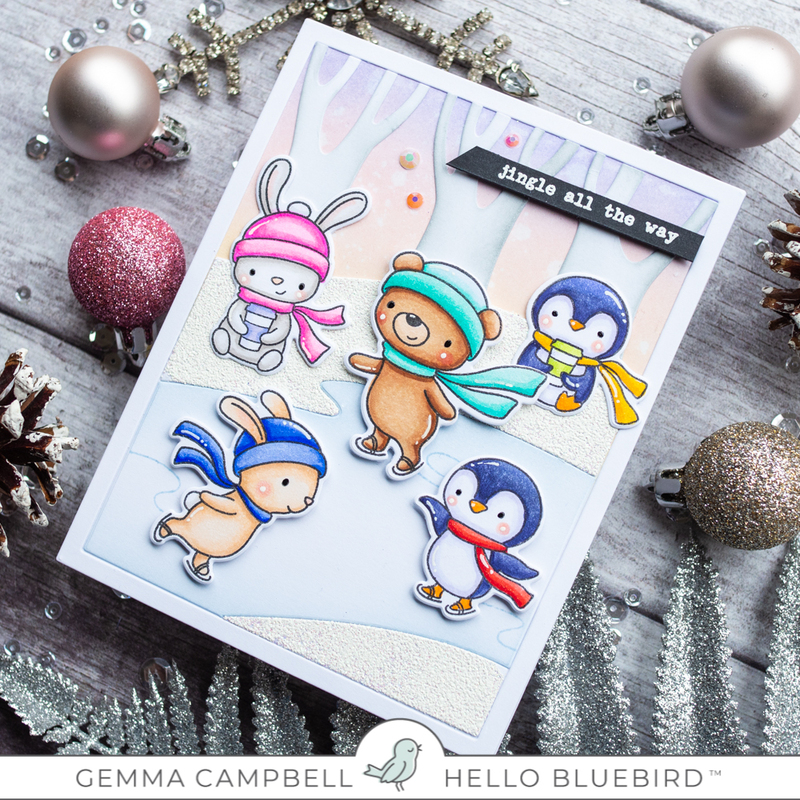 Today I’m sharing a Christmas card using the new Skating Party set and Skating Pond Scene stand-alone die. 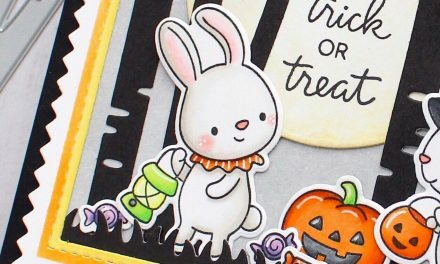 The Skating Party stamp set is packed full of adorable critters. 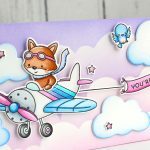 This set is perfect for Christmas cards and also winter themed cards. 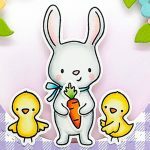 I began by stamping and colouring all the critters, using copics. I used a rainbow of different colours. I then die cut them using the coordinating dies. From some white card, I then die cut the Skating Pond Scene die. 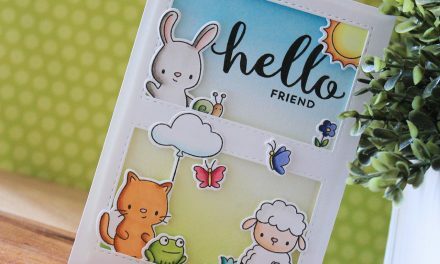 This fantastic die cuts all the pieces in one pass, but they are all separate pieces. 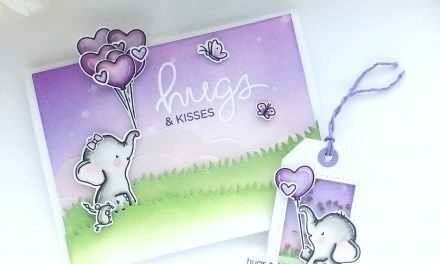 I love this as it means you can add different colours or embossing powders easily to each individual piece. 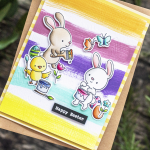 When you are ready, you can then piece them together to make the full scene on your card. You could even choose to leave out a piece you didn’t want, for example one of the trees. I added a light blue ink around the edges of the skating pond. 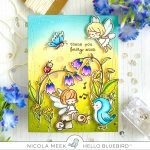 On the banks either side, I covered them with embossing ink and embossed them with WOW White Puff Twinkle embossing powder. On the trees, I added a little colour to the edges with Weathered Wood distress oxide ink. I added a distress oxide blend to the card base for the sky, then adhered all the pieces of the Skating Pond scene die over the top. I used foam tape to add the skating critters, and liquid glue for the two sitting on the snowy ground. 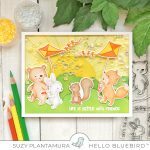 I also stamped some skating trails behind the critters, using the same light blue ink. I white heat embossed a greeting from the Typed Christmas stamp set onto black card, cut it into a thin banner, then adhered to my card with foam tape. 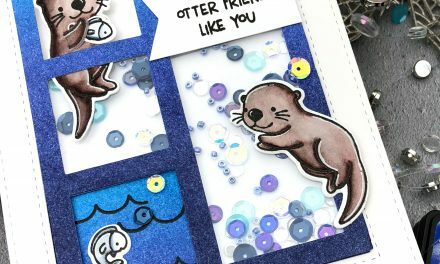 For some finishing touches, I added some Pretty Pink Posh jewels around the sentiment, and some glitter and white gel pen details to the critters. I think this scene would be perfect for a winter birthday, just swap the sentiment for a birthday greeting. These winter critters are getting cuter each day. Your card is so festive.